School’s done (phew!) and you finally have a thing called “free time” at your disposal. Sounds like such a foreign concept, doesn’t it? 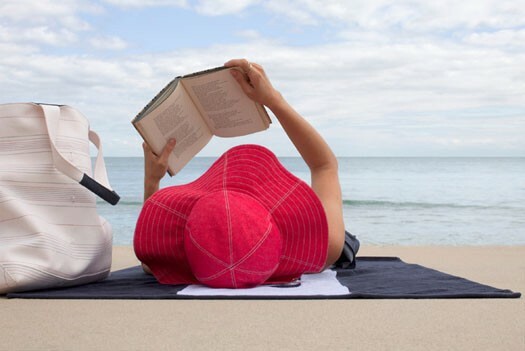 Whether you’re doing part-time work, interning at the fashion magazine of your dreams or lounging at the beach, there’s always room in your schedule for a good book (even if it’s only on the weekends or during a random moment of downtime). Here are six books that are sure to enchant you, transport you to an imaginary place, cause you to cry wonderful tears of joy (because, darn it, that book was just so beautifully written), change your life or at the very least, keep you on your toes! After all, that’s what a great summer read is supposed to do, right? Dream of moving to the Big Apple, being photographed at glitzy premiere parties and meeting Mr. Right? If so, live the life of an “It Girl” vicariously through the character of Minty Davenport. Sound too good to be true? It is…just as Minty makes her way to the top, there’s something standing in her way. For a glimpse into the “world of society, fashion, and big-city fame,” check out Southern Charm, written by Tinsley Mortimer. Forget drama, how about a touching book about “life and loss, friendship and community, food and family” that is surely worthy of a few good “awwwww” moments? What begins with a homemade loaf of Amish Friendship Bread turns into so much more. When left with a simple note, “I hope you enjoy it,” see how the main character, Julia Evarts, moves from personal tragedy to inner peace. 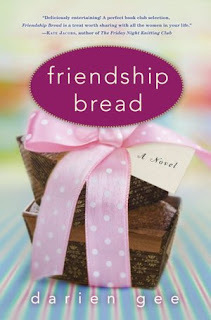 Read Friendship Bread by Darien Gee to find out how one loaf of bread can bring a group of newfound friends together. Ever since Confessions of a Shopaholic (the book, not the movie), I’ve been an avid reader of Sophie Kinsella’s ridiculously funny fashion-based novels. In Sophie’s most recent book, I’ve Got Your Number, the protagonist, Poppy Wyatt, is all set to marry the man of her dreams, Magnus Tavish. She’s proudly wearing the Tavish family engagement ring …or at least she was (until she lost it). But wait, it gets better! When Poppy’s phone gets stolen, see how one catastrophe quickly unravels into an even bigger one. Will her “happily ever after” engagement survive? Who doesn’t love Brad Goreski, his geek-chic glasses, upbeat personality and impeccable style?! Aside from this fashionisto/celebrity stylist’s endless collection of bow-ties, he also knows a thing or two about fashion. Pick up a copy of Born to Be Brad for an in-depth look into Brad’s childhood, how he made it into the fashion industry as a stylist for A-list celebs and even pick up a few style tips along the way. If you’re not a diehard Brad Goreski fan yet, you will be by the time you read this book! No summer reading list would be complete without one of Nicholas Sparks' heart-wrenching novels. In The Best of Me, Amanda Collier and Dawson Cole are high school sweethearts until a turn of events tears them apart. Despite diverging paths, however, they are inevitably reunited twenty-five years later in their hometown. Will Amanda and Dawson be able to reignite the irrevocable romance they once had? More importantly, is there such a thing as endless love? If you don’t read this book for the romance aspect, then read it because it’s oh-so-poignantly written. Looking for a change of pace from your typical lovey-dovey romance novel? Nothing beats a good 'ole thriller, especially when it’s a page-turner like The Innocent by John Baldaccio. Will Robie is a hitman enlisted by the U.S. government to take out some of the nation’s worst enemies. Never one to let a target out of his sight, let alone refuse to kill, Will does the unthinkable. Crossing paths with a fourteen-year-old runaway, he feels compelled to abandon his mission and save her life. What happens next, you ask…you’ll have to read the book yourself to find out! From high-drama and romance to friendship and comedy, whatever your preferred genre may be, there is a book that’s just waiting to be discovered. What books are you dying to read this summer? Leave a comment below! We are always looking for new authors and exciting titles to check out!